About 20% of all road deaths in England are a result of motorcycle accidents. The secret of legendary and successful motorbike riders is not just good luck but a commitment to safe riding practices too. So, what can you do to stay safe when riding a motorbike? Let’s take a look. A good trainer gives equal importance to techniques and safety. Whether you want to enjoy your ride or experience the thrill riding on your own, a good trainer will teach you to do everything without compromising safety. For the best motorbike training in the North East, visit A1 Motorcycle Training School. 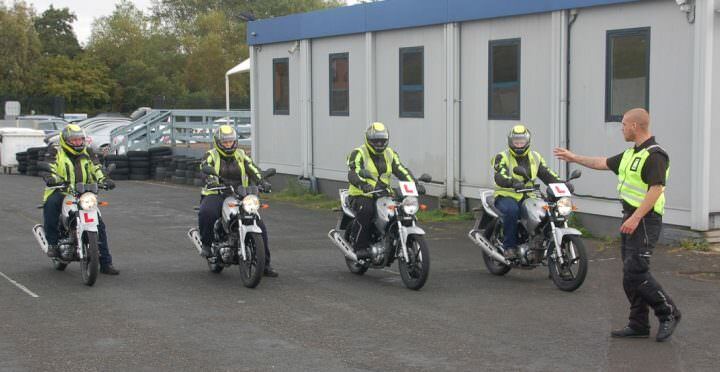 Our motorcycle instructors are DVSA-qualified and RoSPA Gold Advanced certificate holders. We are a motorcycle training institute that has trained thousands of students in the North East. Our motorcycle lessons are available all 7 days of the week. A well-designed motorbike safety course teaches you all the road rules. It teaches you to deal with emergency situations. You also learn how to make your ride thrilling and adventurous without compromising your safety. A1 Motorcycle Training School offers courses for everyone. Whether you are a beginner, an enthusiast looking to advance your skills, or someone interested in taking safety lessons, we have a customised motorcycling course for you. Get used to wearing a helmet even if you feel uncomfortable. Wearing a helmet can make a huge difference to your life. If weight is an issue, there’s no dearth of lightweight helmets. Invest in a good quality helmet even if it is expensive. Choose a full-face helmet for maximum protection. A well-maintained motorbike is the safest vehicle. Take your motorcycle for regular inspections per the manufacturer’s vehicle maintenance schedule. Before you head on a motorbike trip, especially a long-distance one, carry out a basic vehicle check-up as outlined in the owner’s manual. Riding your motorbike in snowy, rainy and stormy conditions can be disastrous. Make it a point to learn about weather forecasts before planning long trips. A thrilling and adventurous motorbike ride does not mean you have to be reckless on the road. Pay attention to traffic signals, lane rules and other road regulations to prevent accidents. When you are on a motorbike, you are responsible not only for yourself but also for others on the road. So, be committed to safety and enjoy your ride to the fullest.